Uh, dumb question. Does this go in addons now, or somewhere in here? That's a 7 zip file. This time you just go into it, and copy/extract everything to addons>shaders. If there is no shaders folder inside your addons folder, create it. Hope this helps. Is there a version of this mod that doesn't alter the clouds? I like them, very realistic, although I will admit that I do miss the old, "spiky" versions of the clouds. Might be possible to keep the current clouds patterns/style of your latest version, but make a secondary, alternative tg_clouds_height that makes these clouds "spiky"? They make fully clouded planets and tidally locked ones look a bit odd. Other than that they're good. As you can see on bright planets such as selenas the effects are very noticeable. The effects are less noticeable on terras but you get the idea. It removes the brown spots from all planetary bodies. Dudefinal, Can you make for RC3 and for 0.980 pls. I want to get those beautiful selenia planet. Can you post your picture? Looking good as always! Good job! Is there a way to set the hurricanes back to default? 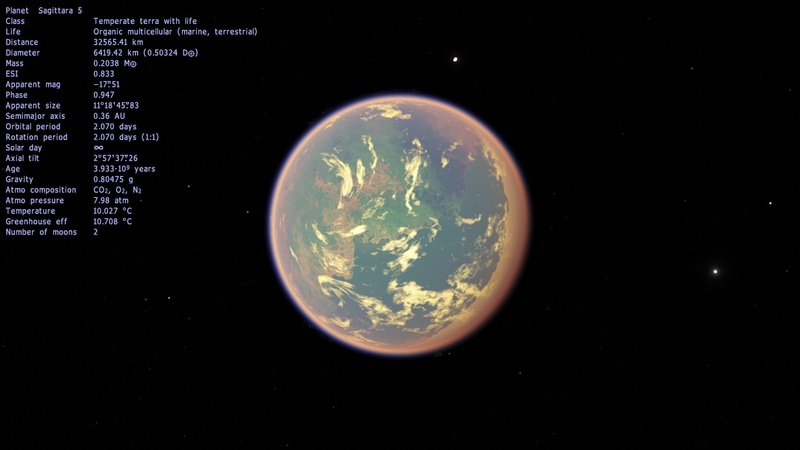 As Donatelo200 said, they make tidally locked planets look strange. Is there a way to set the hurricanes back to default? I actually quite like them, you can see land features better. I guess you could delete the relevant shader from addons/shaders.